Logitech is known for making computer accessories, and they’ve made something incredible. The Logitech Powerplay removes the need to bother with batteries or taking the time to charge your mouse. The design of the mouse comes from Logitech’s running gaming mouse, the G900 and G402. The modified versions which work with the wireless charging mousepad are rebranded to G903 and G703. I find this product really clever. It doesn’t change the way you use your mouse and removes the need to even think about caring for it. Logitech is giving us the convenience of a wireless mouse without the hassle. There is a chamber under the Logitech Powerplay mice where a magnetic charging module can be placed. this allows your mouse to charge while on the wireless charging mouse pad. The charging module is universal and can be used with the future wireless charging mice to come. Alternatively, you may also use that space to add weight to the mouse. 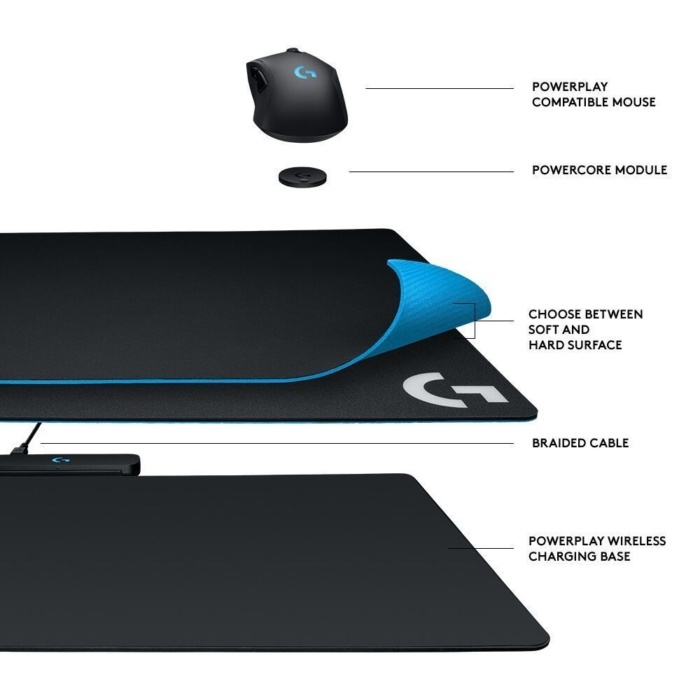 The Logitech Powerplay mousepad will be coming out in August for $99. The compatible wireless charging gaming mice will be out a bit sooner this June for $150 and $100 for the Logitech G903 and G703 respectively.